There is nothing geeky about this book. Sure, it describes China in very broad strokes — which may suit total newcomers (Did you know China is the most populous nation on earth?). 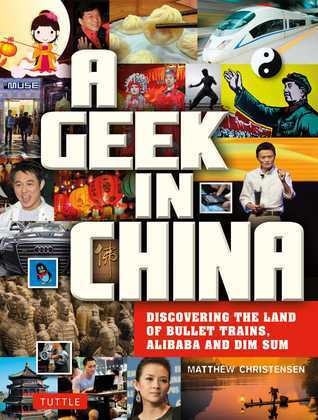 Christensen’s book comes across as a selection of Wikipedia pages, bundled in a bright softcover with stock photography. And it doesn’t get better inside, as the magazine-like pages give the book a cheap coffee table book appearance — something that isn’t meant to read from cover to cover. Where’s the geek in the author? The words are bland and the contents are extremely shallow. Even the moments when Christensen does get personal are not that interesting. Instead, the book glosses over the same details I’ve read countless of times elsewhere, which is probably the inevitable result of trying to describe China within 140 pages — a hopeless mission when attempted without any style.